"In the first place, it was obvious there was something genuinely strange in the house, which made itself manifest as a Woman. Many different people had seen this Woman under differing circumstances, so it is impossible to put the thing down to fancy; at the same time it must seem extraordinary that I should have lived two years in the house, and seen nothing, whilst the policeman saw the Woman before he had been there twenty minutes; the landlord, the detective, and the inspector all saw her. "I can only surmise that fear was in every case the key, as I might say, which opened the senses to the presence of the Woman. The policeman was a highly-strung man, and when he became frightened, was able to see the Woman. . . In short, until a very strong degree of fear was present, no one was affected by the Force which made itself evident as the Woman. My theory explains why some tenants were never aware of anything strange in the house, whilst others left immediately. The more sensitive they were, the less would the degree of fear necessary to make them aware of the Force present in the house. . . It is impossible to put the thing into words because language is not enough developed yet to have produced words with sufficiently exact shades of meaning to enable me to tell you just what I do know." "One other thing," said Arkright, "have you any idea what governs the use of the Unknown Last Line of the Saamaa Ritual? I know, of course, that it was used by the Ab-human Priests in the Incantation of Raaaee; but what used it on your behalf, and what made it?" "You had better read Harzan's Monograph, and my Addenda to it, on Astral and Astral Co-ordination and Interference," said Carnacki. 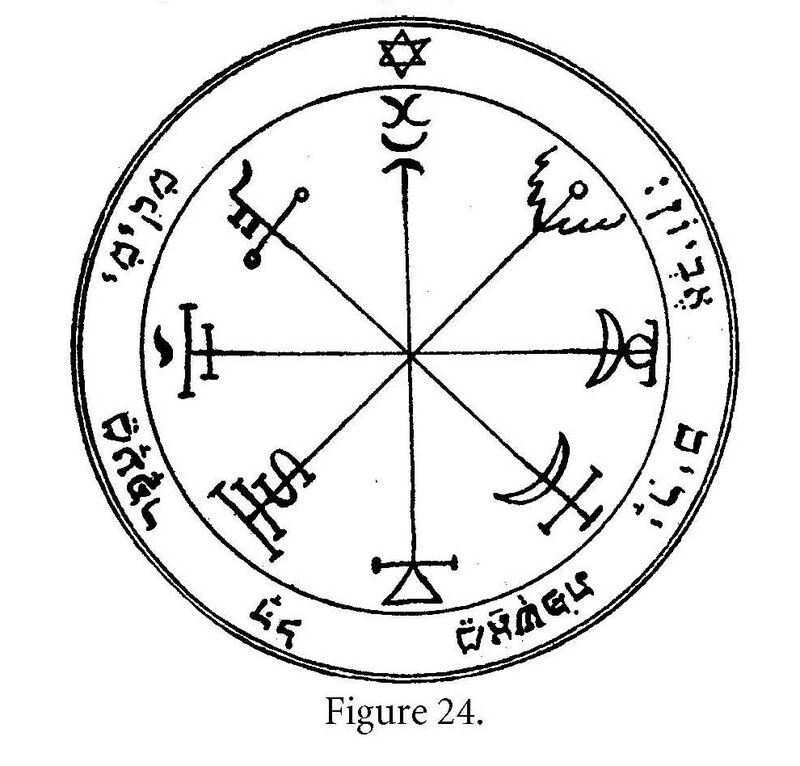 "It is an extraordinary subject, and I can only say here that the human vibration may not be insulated from the astral (as is always believed to be the case, in interferences by the Ab-human), without immediate action being taken by those Forces which govern the spinning of the outer circle. In other words, it is being proved, time after time, that there is some inscrutable Protective Force constantly intervening between the human soul (not the body, mind you,) and the Outer Monstrosities. Am I clear?" Lastly, here's how to create your own paranormal defense at home! I returned to the centre of the room, and measured out a space twenty-one feet in diameter, which I swept with a "broom of hyssop". About this, I drew a circle of chalk, taking care never to step over the circle. Beyond this I smudged, with a bunch of garlic, a broad belt right around the chalked circle, and when this was complete, I took from among my stores in the centre a small jar of a certain water. I broke away the parchment, and withdrew the stopper. Then, dipping my left forefinger in the little jar, I went round the circle again, making upon the floor, just within the line of chalk the Second Sign of the Saamaa Ritual, and joining each Sign most carefully with the left-handed crescent. I can tell you, I felt easier when this was done, and the "water circle" complete. Then, I unpacked some more of the stuff that I had brought, and placed a lighted candle in the "valley" of each Crescent. 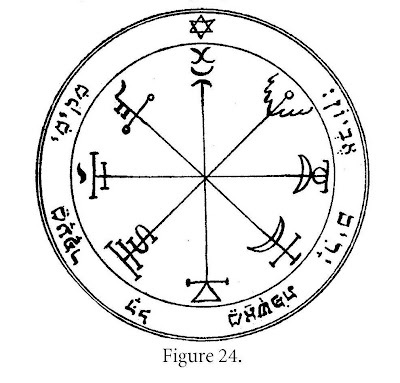 After that, I drew a Pentacle, so that each of the five points of the defensive star touched the chalk circle. In the five points of the star I placed five portions of the bread, each wrapped with linen, and in the five "vales", five opened jars of the water I had just used to make the "water circle". And now I had my first protective barrier compete. The Three Straw Platters, the Yellow Finger experiments, the Black Veil incident, and the Grey Dog, the Moving-Fur, and the Dark-Light cases!